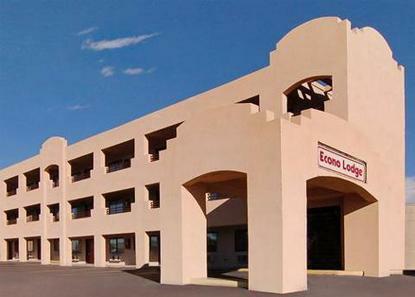 The Econo Lodge East, conveniently located less than five miles from attractions and events like the Albuquerque Balloon Fiesta, the Isleta Casino, the Sandia Casino and the University of New Mexico. This pet-friendly hotel welcomes pets for a small nightly fee, FREE continental breakfast and FREE HIGH-SPEED INTERNET ACCESS IN ALL ROOMS. Rooms with refrigerators, microwaves and coffee makers are available. Truck parking is also available. A 24-hour Waffle House is located on the premises. Pet charge of 7.00/night per pet.